We all know a conspiracy theorist. Their stories are full of exaggerations inspired by paranoia and bits and pieces of information. It can get pretty overwhelming just listening to some of the theories out there. Some of them sound like they are straight out of a Hollywood script however, there are some that sound just like the real world. 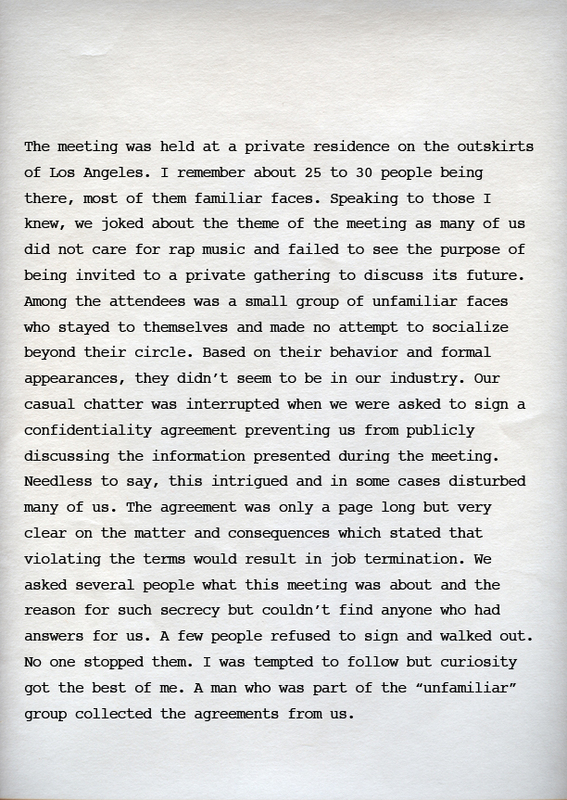 A letter known as "The Secret Meeting That Changed Rap Music and Destroyed a Generation" has been circulating all over the net. 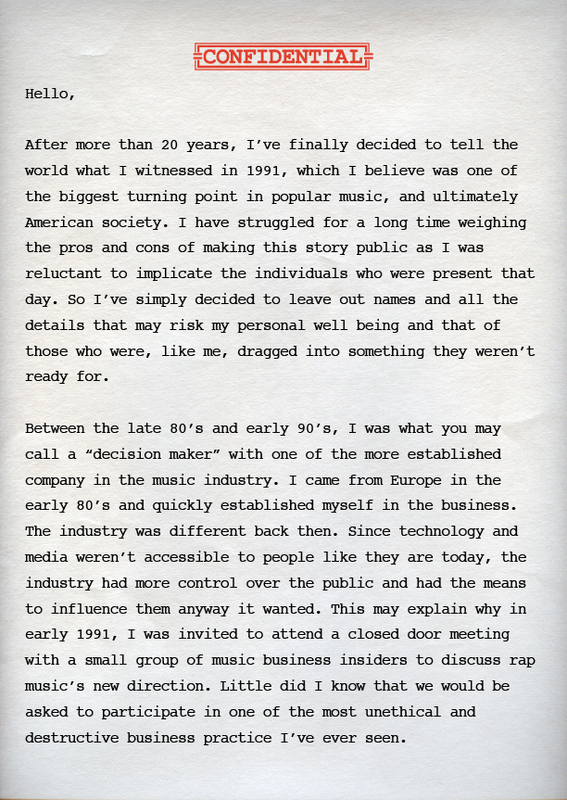 To spare you a long read, it's basically a letter from a music industry insider telling his account of a private meeting with an elite group in 1991. 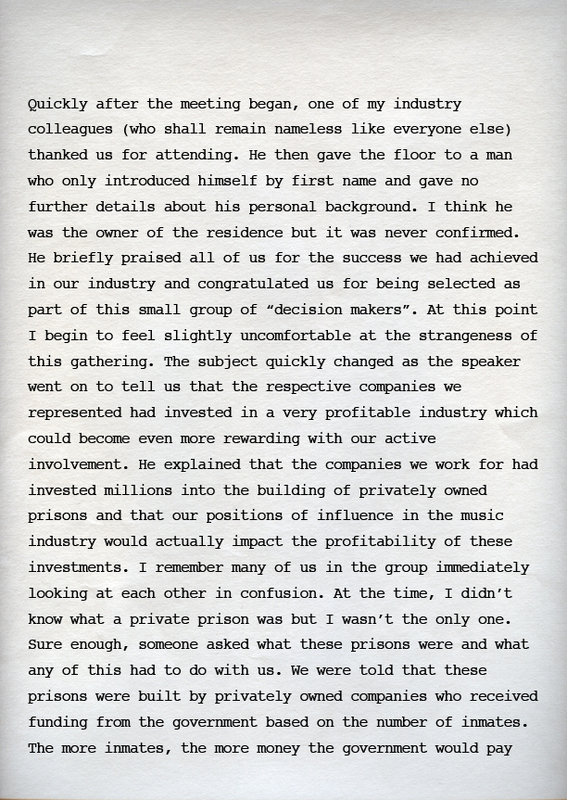 A group with highly invested interests in both the Music industry and the prison industrial complex. 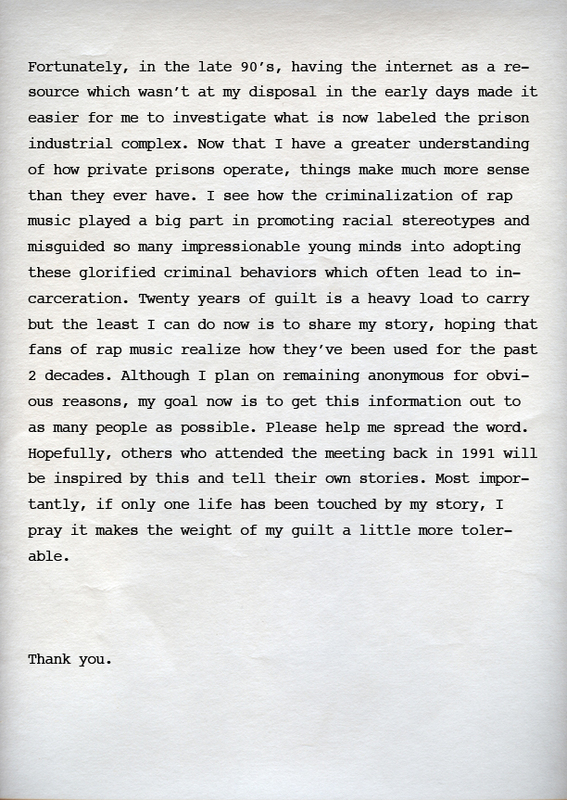 Their interests included keeping prisons packed by infiltrating Rap Music and using it to promote violence and negativity. 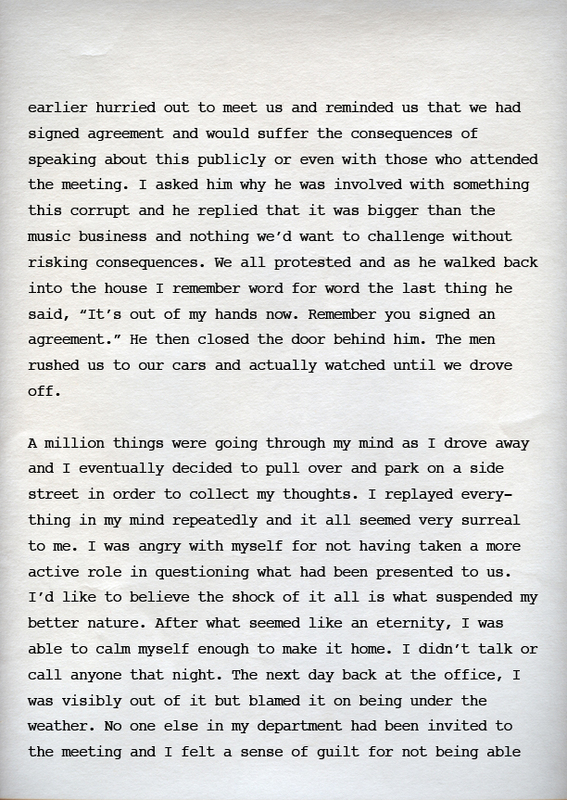 Check the letter out after the jump. 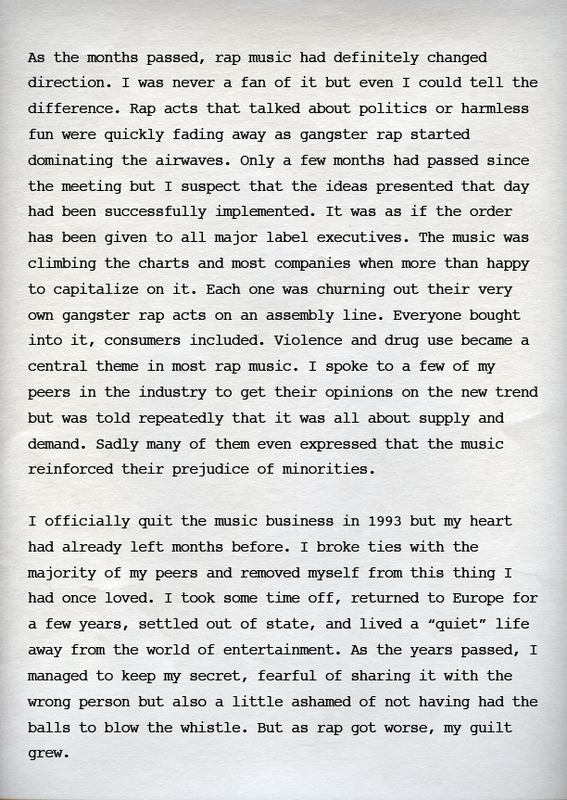 This is something that all fans of Hip Hop should read...no matter what generation. 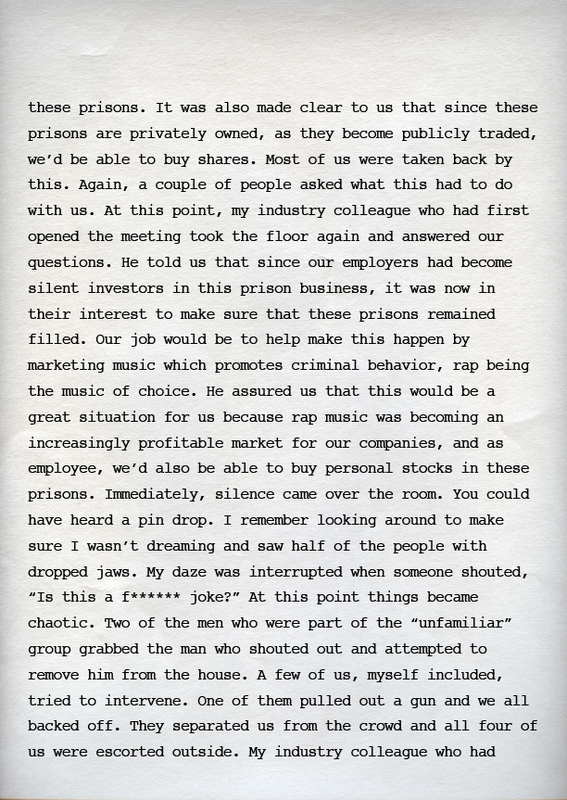 I thought this was interesting considering that cassettes are still big business within prison walls. This is very interesting on many levels. Have never heard anything about this before, but I always really did wonder about the uptick of the "gangsta" lifestyle in my high school days. Looking back (20 years later), it always made me wonder why this trend happened at that specific period of time. Hip hop went from tracksuits to dashikis to dickies to backpacks to jiggy to hipster. Unfortunately, my formative years saw many of my peers caught in the more violent of the above eras. 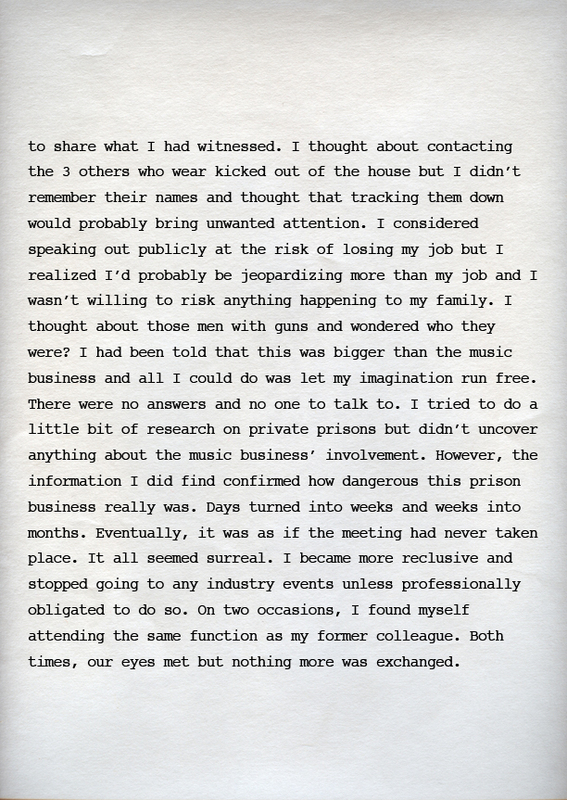 It always made me wonder… was it the music? Art imitating life? Life imitating art? Crazy interesting post. Thanks for sharing.